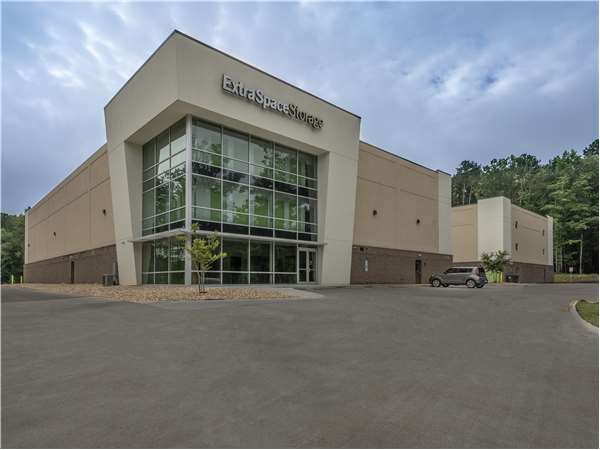 Located on US 15 501 N, Extra Space Storage serves residents of Chapel Hill and Dogwood Acres. Locals will recognize our facility next to Walmart. Extra Space Storage on US 15 501 N offers a variety of storage units, climate-controlled storage, drive-up access, wine storage, and exceptional security. We're the self storage partner for you in Chapel Hill! Store items large and small with ease at our Chapel Hill storage facility! We have unit sizes from 2x2 up to 25x10 with features like indoor access, first-floor access, drive-up access, and more! With advanced security measures like 24-hour video surveillance and electronic gate access, you can confidently store valuable items at Extra Space Storage! When storing temperature-sensitive items in Chapel Hill, climate control is highly recommended. Climate-controlled units maintain a storage environment between 55? and 80? at all times, keeping your items safe from extreme heat, humidity, and cold. These units are available in sizes 5x4 to 25x10. Moving items in and out of your unit is easier with drive-up access! This amenity allows you to pull a vehicle up to your unit for hassle-free unloading and loading. Drive-up units are available in sizes 10x10 to 10x20. Have a wine collection that you want to safely store? Extra Space Storage in Chapel Hill offers wine storage! These units are secure, include climate-controlled storage, and come in sizes 2x2 to 6x3. At Extra Space Storage, we strive to provide our customers with self storage they can depend on. From our clean, well-maintained, secure facility to our friendly, professional staff, we go the extra mile to ensure you're satisfied with your experience and that your storage needs are taken care of. Contact us today to reserve a storage unit in Chapel Hill! ExtraSpace is great! I wanted to upgrade from another storage company to a larger & climate controlled space. ExtraSpace had better prices and was cheaper, the facilities newer, cleaner and much more secure. Easy to load in and out of and I felt safer doing so. Plus I’m saving money and have a nicer unit!! So glad I made the switch. Clean well designed space with a variety of options. Courteous helpful staff. When we were looking for storage space we needed space that was climate controlled we also preferred afacility that was relatively new. From the moment we met with the people at extra space storage they were kind showing us exactly what options were available in May the entire process very simple. Could not have been more helpful! The manager bent over backwards to give us all of the help we needed. We were storing stuff from our entire house, so it made a big difference ! Incredibly friendly and helpful. Very clean facilities. this has been an extremely easy and helpful process for my move. The staff could not have been friendlier and the units are very secure and easy to access during most hours of the day. Would definitely recommend using them! Great experience getting a storage unit at the Chapel Hill/Chatham location. Very clean, good prices, and great service. Onel helped us and is fabulous. If I needed yet another storage unit I would gladly come right back to this same location. Facility is great. Onel (one of the managers) is awesome. No need to look anywhere else. Great, safe and clean facility with excellent customer service. The manager, Onel is fantastic and very accommodating. Great service! Very friendly and helpful staff. Clean facility. Easy to work with and worked well with our schedule.We rented an inside unit. Definitely would recommend if you need a storage unit. Excellent customer service. Unit is perfect for my needs. Agent was very knowledgeable and helpful and made sure I was 100% satisfied. Onel and Rick are great! They are very helpful. I only wish the construction of the new building had happened faster. Clean and felt safe. Likes the convenience of 24 hour access and large screens for video security. Everyone was helpful and the location was ideal. Since I had to move because my condo was being sold. The storage manager suggested several places to look at for my next move. Really did like one he suggested for my new home. Everything about the experience was positive-felt very safe putting my furniture in this storage. This facility is new, clean and spacious. The personnel is well trained and helpful. The location was good for us while we stayed in Chapel Hill awaiting the closing on our home in Pittsboro. The price seemed fair and the security good. There was easy access for us and the movers. Clean, accessible storage. Helpful professional onsite employees committed to your security and ease of access. Couldn't ask for more. What I like about Extra Space Storage: it is a brand new facility. It is clean with easy access, and is in great location - only a few miles from my home. I've only had the unit for a few days. I should rate it again new year! Excellent clean facility- well lit and easy to access. The staff was very helpful- stayed late when I was running late in traffic. Made moving a breeze. Thanks for the wonderful service and safe and clean facility. Large units, clean safe storage. Would recommend extra space for anyone looking for decent monthly payment and safe storage!!!! I’ve been using storage units off and on for over 35 years. Usually climate control units. The staff here is one of the friendliest most professional I have ever experienced. Onel gave me all my options up front told me which units were available, which units were coming available in the next few days and probably the next few weeks. Their prices are very competitive for this area without any hidden cost. I highly recommend this Extra Storage location. Great clean climate controlled facility! The staff is awesome. They were very friendly. I will give the staff 5 stars as well as 5 stars for the facility! I have been a previous customer at another Extra Space facility. Great experience there. Extra Space in Chapel Hill is more modern. Looking forward to the same great experience as previous. So far so good! Head south on US-15 S/US-501 S. Make a u-turn on Old Lystra Road. Destination is on the right. We are next to the Wal-Mart Supercenter and Woodforest National Bank. Head north on US-15 N/US-501 N. Destination is on the right just before you reach the Wal-Mart Supercenter and Woodforest National Bank. Follow Mt. Carmel Church Road and turn left onto Old Lystra Road. Follow Old Lystra Road for 3.9 miles and turn right onto US-15 N/US-501 N. Destination is on the right just before you reach the Wal-Mart Supercenter and Woodforest National Bank. Follow Larmont Norwood Drive for 3.2 miles onto Poythress Road for 0.2 miles. Turn left onto Manns Chapel Road for 1.9 miles. Turn left onto US-15 N/US-501 N and follow it for 0.9 miles. Destination is on the right just before you reach the Wal-Mart Supercenter and Woodforest National Bank.